Tucked in off the Annacloy Road between Downpatrick and Ballynahinch lies Rossconor House, which has been on the Built Heritage at Risk Northern Ireland Register since 2003. While not of the same scale as, the also ‘at risk’, Mount Panther, in the same County, Rossconor House remains a substantial two-storey, five bay, double-pile Georgian ‘gentleman’s residence’ with a particularly pleasing panelled door flanked by Doric columns and surmounted by an attractive radial fanlight. This townland house was the home to the Brown family for a century from 1800-1900 where in 1836 it was the residence of a Captain Brown and later (pre 1854) of James Brown Esq. It has been described as a plain but substantial building with a small surrounding woodland, and in 1863 the estate comprised of a house and farm of 112 acres with water powered corn and flax mills. A Mr. McCorristan lived in the house and ran the mills from the early 1900s up to the period of the First World War and a later resident was a Mr Thomas Brannigan, a farmer, who Irish Military War Pensions records state was a member of the Irish Volunteers and later the IRA between April 1919 and September 1923, during the War of Independence and Civil War periods. According to the records Mr. Brannigan was involved in a number of incidents during this time and was interned on the prison ship Argenta in Belfast and in Larne Workhouse (now the Moyle Hospital). The size of the estate has diminished much in recent times and has been encroached upon by new developments. A new house in similar Georgian style has recently been built off the entrance to the drive and the former gatehouse was replaced by a bungalow in the 1970s. Rossconor House was marked on the First Edition of the 1830 County Edition of the Ordinance Survey maps and although the surrounding area is almost unrecognisable from that time, Rossconor House still stands. 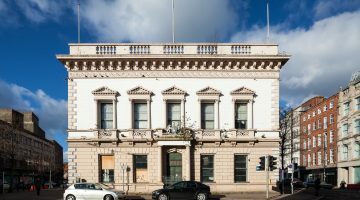 The building still retains its character but the fact that it has remained uninhabited since 1972 has been to the detriment of its condition. Extensive damage has been caused to the original Georgian glazing through vandalism and the building has suffered from water ingress. The house has also experienced increased vegetation growth on the exterior walls whilst being on the market for a considerable number of years. 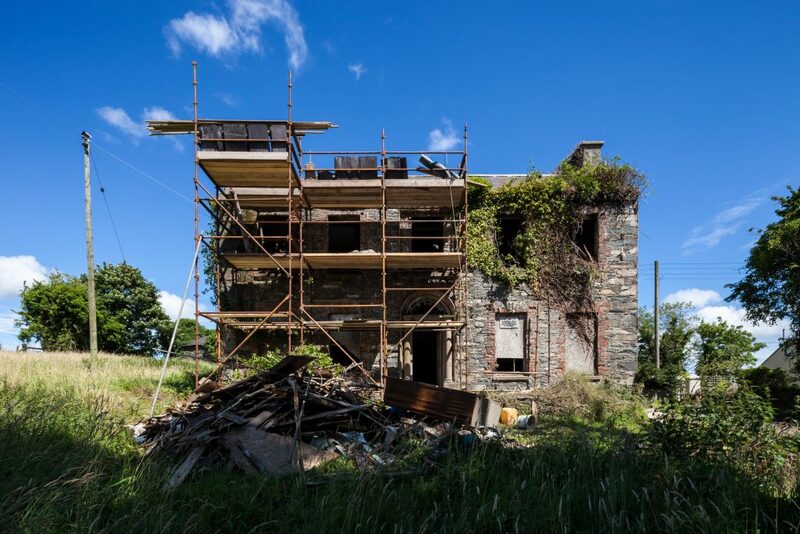 Recently however, well known craftsman and hotelier Noel Killen, who has spent a lifetime specialising in traditional building skills and restoring listed buildings, including his own Ballydugan Mill, has recently purchased the building. Speaking with him about the house he said “Nearly every townland had a house like Rossconor and it is a very important part of our built heritage in Annacloy because there are very few historic buildings left. I’ve known Rossconor house for almost 40 years and now it really is at a critical stage in need of repair.” With the knowledge Noel has for the repair of historic buildings and his ethos of repair rather than replace, many of the original features will be retained and restored including the original yellow pine timber roof structure, ensuring the vital authenticity of the building lives on. As an advocate and enthusiast for the sustainable use of our built heritage the future for Rossconor House will be bright with Mr. Killen.